Ah, nostalgia, you wily fox; you’ve got us again with the recently announced Sega Genesis Mini. 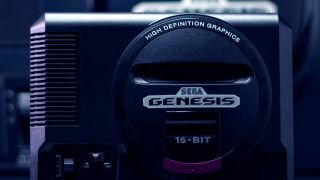 Because the console will undoubtedly be popular when it launches, we’re helping you get ahead with the best Sega Genesis prices and deals around. We’ll update this page whenever a bargain rears its head, too, and you’ll find us humming that opening - SEGAAAAA - in the meantime. The latest in a line of retro throwbacks, the Genesis Mini launches on September 19 2019 for $79.99. With two classic wired controllers and 40 games from across the console’s lifespan, it’s quite a tidy offer. We’ve yet to find out what all those games are, of course, but so far we know it includes Ecco the Dolphin, Sonic the Hedgehog, Castlevania Bloodlines, ToeJam & Earl, and Shining Force. As with other systems like this, it’s also a case of plug ‘n’ play. We’ll keep you informed when we know more, but for now fill your boots with the best Sega Genesis prices and deals we could round up. Good news: the Sega Genesis Mini includes 40 classic games. We're not sure what they all are yet, but we'll keep you updated when we find out more. For now, take a look at what's been announced. Want more retro goodness? Head over to our list of the best retro game consoles you can get your hands on right now.